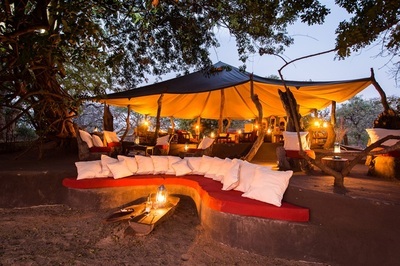 A grove of mahogany trees shade the tents Tena Tena Camp. 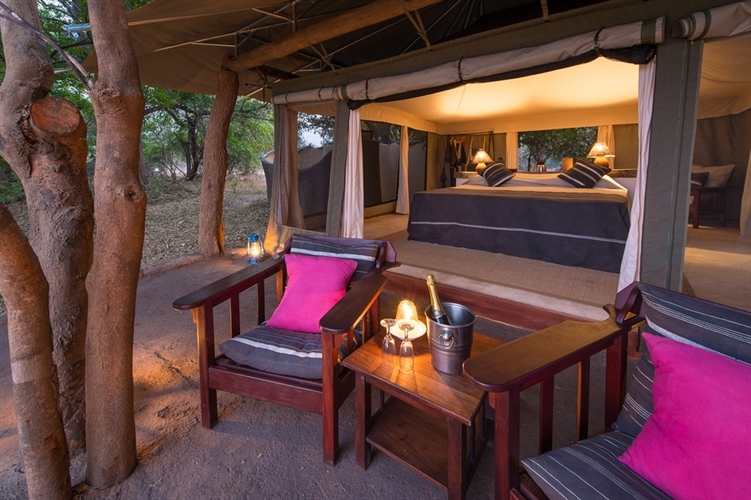 Each tent boasts a veranda, and large open bathroom. Walk through the tent and you find a private dressing room that leads into a unique open-air bathroom with separate toilet, shower and sink. 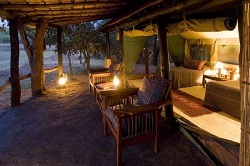 The shower overlooks the water hole, so you can shower in the mornings while watching elephants drinking 30 yards away! 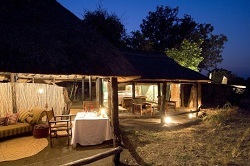 Tena Tena Camp was the first tented camp in not only the South Luangwa valley but also Zambia. 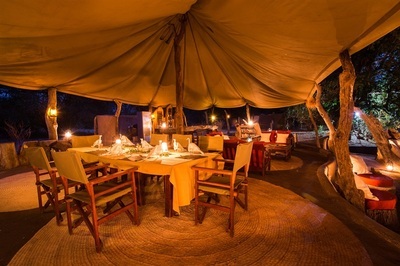 With just 5 luxury tents, the Camp is both stylish and intimate. The waterhole that runs in front of the tents at Tena Tena Camp is highly productive and the siestas can be spent watching and photographing from the bed the main area is a large canvas marquee placed between two mahogany trees. 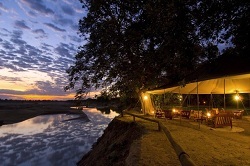 The view from sitting area, down the Luangwa River, is 60 km to the hills. 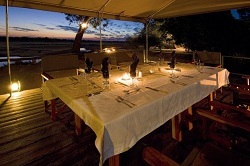 Dinner is served on the platform, under the stars, again with a view of both the river and the waterhole. Under one of the trees is a simple bar area. Other trees provide shade for al-fresco dining. Daily activities at Tena Tena Camp include walks under the guidance of highly trained guides, and night drives in 4x4 Land Cruisers. 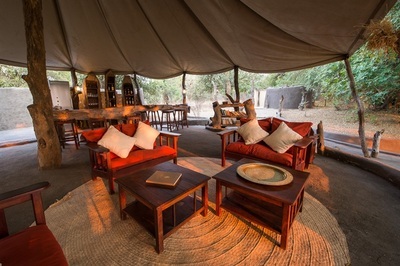 Should you feel in need of rest and relaxation do not need to venture far from the camp to spot game, as there are always ’local’ sightings.